This phenomenal make up range straddles high street and high-end, with innovative textures, trend-led shades and pro-quality formulas – all with purse-friendly price tags! This super-sleek, double-ended pencil makes subtle sculpting effortless. Available in four colour-coordinated pairs, use the darker shade to contour and the lighter to pick up prominent features – the precise slanted tips make for a soft, natural-looking effect. 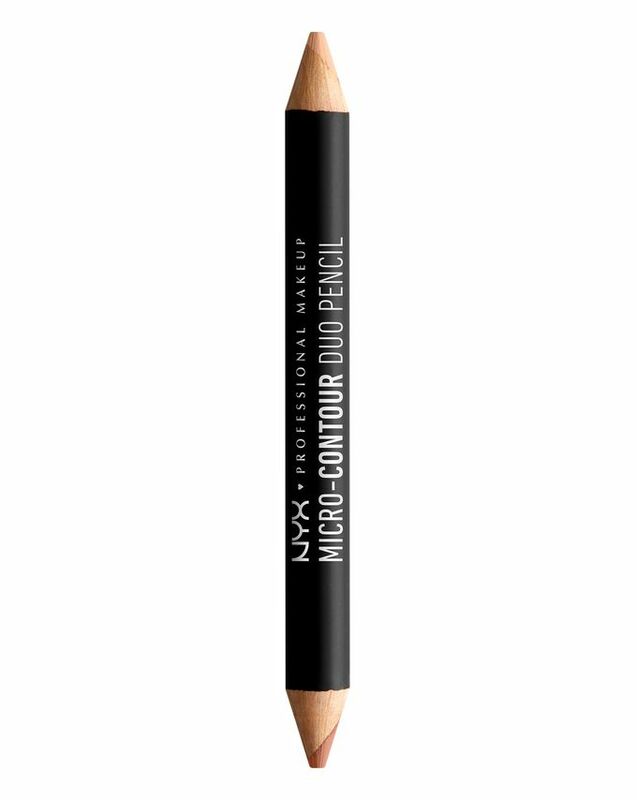 The ideal addition to your make up arsenal, NYX Professional Makeup’s Micro-Contour Duo Pencil lets you subtly sculpt like a genius. With a defining shade at one end and a lighter hue at the other, you can whip it out and scribble on bone structure worthy of a Kardashian at a moment’s notice. The super-sleek, slender pencil makes it easy to emphasise your favourite features with precision, with unique slanted tips to create fine, soft lines and a natural-looking overall effect. It’s available in four colour-coordinated pairs – from ‘Light’ to ‘Deep’ – to flatter your skin tone. Simply scribble the darker shade along the hollows of the cheeks and jaw line, then use the lighter shade on more prominent areas of your face, such as cheekbones and temples. Use the darker shade along the hollows of the cheeks and forehead as well as along the jawline, while the lighter shade can be used to highlight areas such as the cheekbones, brow bone and cupid’s bow. Blend with fingers or a brush.